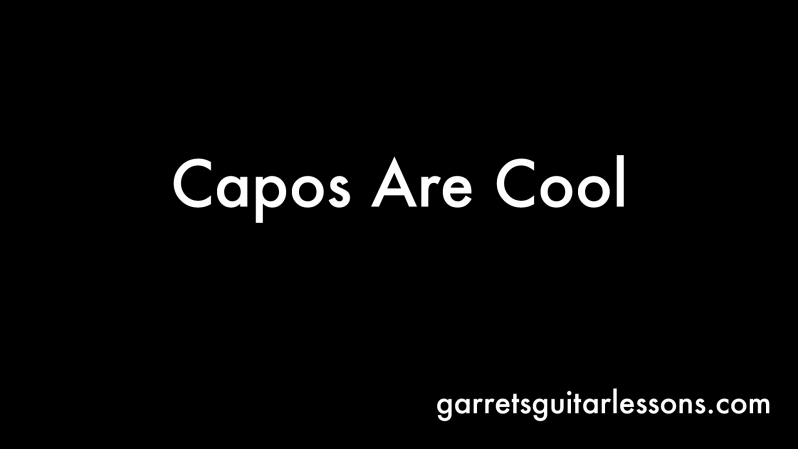 Capos are a tool and just like any tool, has it’s own purpose and place. Some people use them as a crutch and I think for certain players, that’s okay too. 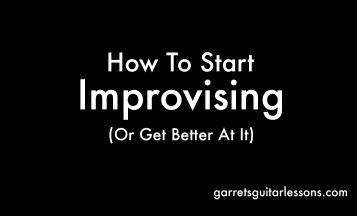 If you’re just starting out, then yes by all means, use the capo on fret 3 and a play a G chord. That’ll allow you to play the song you’re learning without all the headache and pain of learning a bunch of new chords. 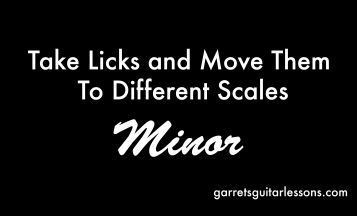 Over time though, start thinking about what chord you’re actually playing. It’ll allow you to play songs in different positions of the neck and use Capos in new and excited ways. The important thing to remember is that when you capo on the 3rd fret and play a G chord, you’re not playing a G chord, you’re playing a G shape. If it was a G chord, what’s the capo doing? The capo changes the key of the song while still allowing you to play familiar chord shapes. What I mean by chord shapes is that it looks like a G, it feels like a G, but it is not a G! The G of the G chord comes from the lowest note of the open chord, 3rd fret 6th string is actually the G note. The shape our fingers make after that are all the notes that make up a G chord in a position. 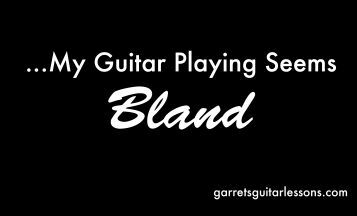 So when we put a Capo on the 3rd fret and play a G chord, the lowest note of that chord is not a G. If we look at my handy dandy Basics sheet, you’ll notice it is an A#/Bb note (I’ll call it a Bb for the duration of this post). 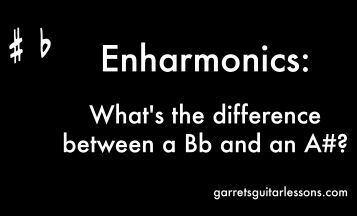 So that means our G Shape is actually playing a Bb chord, but a Bb chord that’s actually managable to play as a beginner and one that is voiced (fancy word for how the notes are arranged) in a very familiar manner. 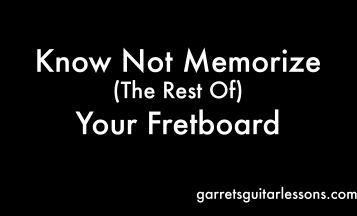 It may seem unrealistic right now to think about every single note and how you can memorize the fretboard and use capos in a more efficient manner, but take your time with it. As I mention in my Know Not Memorize Your Fretboard | Steps lesson, it’s using this stuff that’ll make it sink in, not memorizing it. Start with one song that you capo, more likely than not it’ll be four chords. What are those four chords actually called? You can use my Basics sheet, or even your electronic tuner and hit that bass string and start thinking of that one song by their actual chord names and not their capo’d names. If you play with other musicians, they’ll thank you for telling them the real chord names. How Do I Find What Note I’m On? To find the root notes (or the name of the chords), luckily we don’t have an infinite amount of open chord shapes. E/Em, A/Am, D/Dm shapes have their root note on the capo’d fret. E/Em is the 6th string open (capo fret), A/Am is the 5th string open (capo fret), D/Dm is the 4th string open (capo fret). G is the fret that your second finger is on, on the 6th string (Capo + 3 fret on the 6th string), C is the fret that your third finger is on, on the 5th string (Capo + 3 frets on the 5th string). If you play with friends, take one song and see if you can play it on a different capo’d to add something extra to it. Don’t have friends? Use a Backing Track. How can you play the backing track chords using a capo? 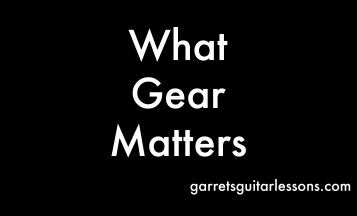 The more you know, the less you have to work with your guitar playing. Work smarter not harder. Sometimes all those barre chords can cramp up your hands. Slap on a capo and let your brain do the hard work. It gets easier the more you do it.